Choose from a variety of facials, microdermabrasions, massage therapy, manicure, pedicure and much more! 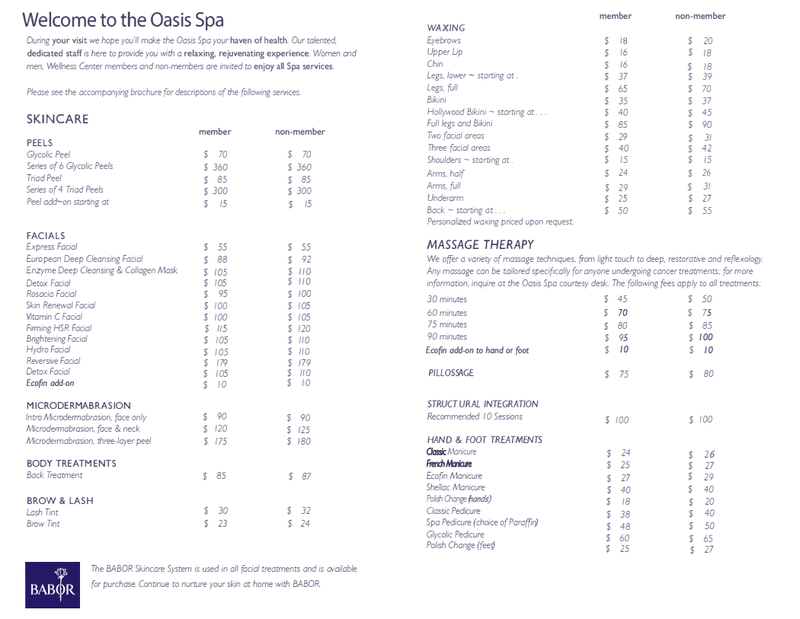 View a listing of our luxurious spa services and fees. Beautifully wrapped gift cards are also available!